When we work together, Gonzaga Will. Research projects are an important part of academic innovation at Gonzaga. Whether interdepartmentally or cross-disciplinary, encouraging students and faculty to work together in groups solving problems helps to create a bond among the community that holds strong long after graduation. 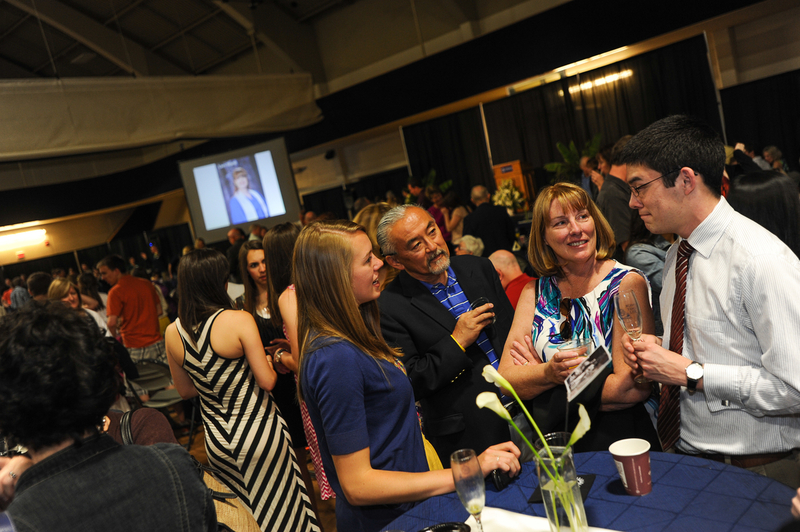 Matsumoto’s experience with research at Gonzaga began in the hallways of the Herak Center for Engineering and Applied Science, when he and Monroe “ambushed” Dr. Ganzerli as she was leaving the building one evening. The team’s research had benefits that reached beyond the project itself. The wrench they built to “break” masonry bonds apart is still being used by students in labs. Matsumoto’s connection to GU is also fortified by his annual gifts of support, which he says are an important part of showing his gratitude for his own experience. Gonzaga will continue to provide unique opportunities for student research and academic innovation thanks to the support of people just like you. Make a difference with a gift today.